Have you ever stopped for a moment to think about how the shirt you’re wearing arrived at the store? Or perhaps the workflow behind transporting your granola and smoothie to the local breakfast deli? By truck, most likely. While perhaps not the sexiest business for tech-savvy entrepreneurs, trucking is nevertheless a critical industry to every modern economy. In each of the US and Europe, the size of the trucking market is estimated to be around $700–800B, or 4 per cent of GDP (in the US, truck driver is the single largest employment category, with 3.5M drivers). Globally, the total market size is approx $2 trillion. However, trucking remains one of the few sectors relatively untouched by technology and innovation. The workflow is antiquated, with brokers and third party logistics (3pl) providers dictating terms, pricing, and flows of shipments via phone, paper documents, and spreadsheet. There is little visibility about shipments as they move from origin to destination. Additionally, the industry is highly fragmented: the largest 50 trucking carriers in the US account for approximately 30% of all revenue, and 90% of all carriers are small scale operations with fewer than six trucks. The industry fragmentation in Europe is comparable. Massive inefficiency, however, means massive opportunity. That is why we are excited to announce our investment in Convoy, a logistics and trucking platform that increases efficiency, transparency, and flexibility for the entire trucking ecosystem. Convoy delivers high quality trucking services by matching loads to the thousands of small trucking companies that are part of its expanding, technology-connected network. It also provides upfront, guaranteed pricing for both parties and allows shippers to track their shipments in real time. The system worked fine for the last century, but as Convoy CEO Dan Lewis says “Ask any shipper or truck driver about their business and they’ll point out ten things that could run better.” Convoy’s algorithms and software work to do just that. For shippers, Convoy is improving service, reliability, and the pricing experience — driven by their automated brokerage and network of connected trucks, And for the carriers, it provides fewer empty loads, thereby reducing wasted miles, as well as less to and fro with brokers. As thematic investors, we have spent the past year developing a thesis about the opportunity to disrupt the trucking industry. We have met approx two dozen startups across Europe, as well as carriers and shippers, in order to better understand the value chain. At least one or two of these startups, still at seed stage, are on a path to building a valuable business, and offered the opportunity to invest at Series A. However, as part of our diligence we looked across the ocean to the US, and found Convoy, who had already raised angel money from our longtime friend Hadi Partovi, and a Series A. It enjoyed a 18–24 month head start building the technology platform, >50x the liquidity of the most mature European comp, and was already growing on a tear. So the question hotly debated at the Mosaic partnership table became: Would the US leader eventually have the best shot to win globally … or could this be a marketplace where local liquidity enables a homegrown player, starting later, to prevail in their domestic region? … There was a strong case to be made for each view, but history suggests these disruptive marketplace platforms (including B2B) ultimately tend to globalize, and first movers with greater liquidity and therefore easier access to capital, tend to win. We also love to back great founders. 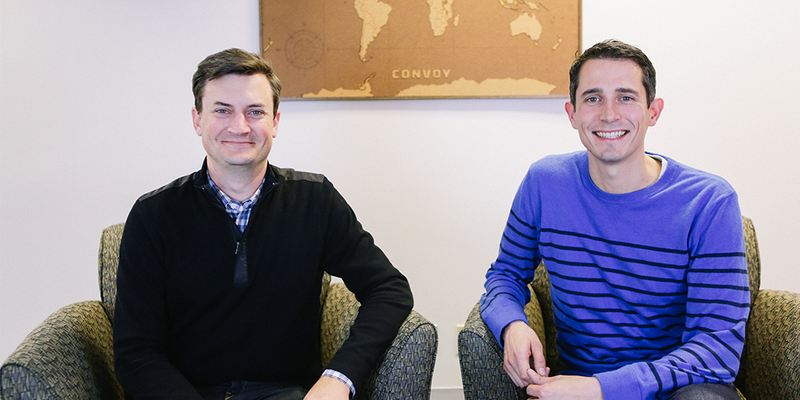 When we first met Dan and Grant (former colleagues at Amazon) and their team in the spring, we were excited by their vision to bring much-needed change to the trucking industry, delivering improved efficiency (i.e. less wasted fuel, greenhouse gases) and better prices for the physical products we consume. In this round, we are happy to be investing alongside our friends at YC Continuity, Greylock (who led the Series A), Hadi, and many more. Whilst Convoy’s current focus is expanding coverage across North America, their long-term ambition is to launch on our side of the pond too. We are thrilled to join as partners today and for this future step along their journey. Until then — keep on truckin’. Our Investment in Habito — We believe that trusted robo-advisors have a bright future. When it comes to supporting financial decisions for the average consumer, technology can deliver far superior advice than a human-powered service. With wealth management as the initial target for robo-advice — and Wealthfront and Betterment leading the charge in the US — who might be next in the firing line?